Many of us are familiar with the Sustainable Development Goals set by the United Nations for 2030 and increasingly more and more companies and organizations are contributing to their achievement. However, there are some specific companies in certain sectors who hold invaluable assets which can be key in accelerating the journey towards achieving these goals. One of those assets is Big Data. However, many of the examples above refer to one-off projects and pilots and the real acceleration of towards these SDG's will come from running these projects on a continuous basis with (near) real-time data-feeds to ensure stability and continuity for the next generation of social Data Scientists. Data needs to be anonymized and aggregated. But will the anonymization process be good enough? Is it impossible to re-identify customers or users? Once the data is somewhere else, how secure is it? If it becomes a constant data feed, how safe is it? For many companies, most of the relevant data is customer data. And although it is likely to be anonymized, aggregated and extrapolated, there is no full consensus on whether this is allowed or not. Organizations also have to face the challenges of there being a wide range of different Data Protection legislation in the different countries across their footprints. Even if things are completely legal, professionals may still worry about public opinion and how customers may see things differently. What happens after a data breach, even if the use of data had a social purpose? Businesses also have strategic commercial issues that they may struggle with. Many companies have only just learned that Big Data is a key asset, so may think why should they share this with someone else, even if for the greater good? Could the competition get hold of my data (asset) and make inappropriate use of it? How would I explain that one in the boardroom? The competition is tough and sending data to an external platform has most CSO's concerned. Does this use of data for social good cannibalize some of my external Big Data revenue? What if I jeopardize an existing business opportunity in order to carry out a Big Data for Social Good project? However, there is an existing solution which addresses the first three challenges. The OPAL Project ( which stands for Open Algorithms) doesn't require companies to move their data off their premises; it stays where it is. Using OPAL, the algorithms are transferred to the data and are certified (against virus and malware) and produce the insights they are designed for (ensuring quality). Albeit, simple, this is an extremely powerful technology and as it is an Open Source project, all software developed will be freely available. The algorithms will be developed by the community and certified by OPAL. OPAL is still in early stage and low profile, but we firmly believe that it will encourager a wider range of companies to contribute to the Sustainable Development Goals. And while OPAL is an interesting solution for the privacy, legal and reputation concerns, it doesn't yet solve the strategic and business concerns mentioned above. Until now, there is a general consensus that Big Data for Social Good should be free of charge, meaning that Social Good implies Data Philanthropy: a form of collaboration in which private sector companies share data for public benefit. 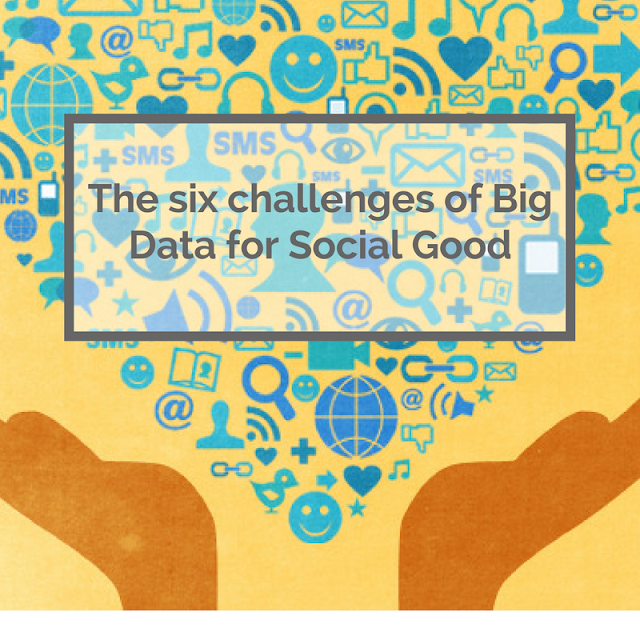 However, Big Data for Social Good projects do not have to be necessarily free of charge. While data philanthropy is very important to start the social good movement, in the long run we expect progress to be much quicker if there are also commercial opportunities. Companies are simply more willing to invest in something with a business model. Many international organizations are spending a significant part of their budgets on monitoring and achieving the Sustainable Development Goals, including The World Bank, United Nations, UN Global Pulse, UNICEF and the Inter-American Development Bank, While it may not be appropriate to charge commercial rates, it may be possible to have an "at-cost" model. Several philanthropists are donating large amounts for social purposes such as the Bill & Melinda Gates Foundation for gender equality, or Facebook's founder, Mark Zuckerberg, who committed to donate €3bn to fight diseases. Many projects with a social purpose are a high priority for local and national governments. For example, generating a poverty index; anticipating pandemic spreads or reducing CO2 emissions in large cities. Governments are spending considerable amounts of their budgets on such projects and there is no reason why initiatives with a social purpose couldn't also be charged for. Sometimes a freemium model works: pilots (or proofs of concepts) are done free of charge, but putting the project into production requires investment. Or, insights with a limited amount granularity (frequency and geography) are free of charge, but more detailed insights often have a bigger price tag. 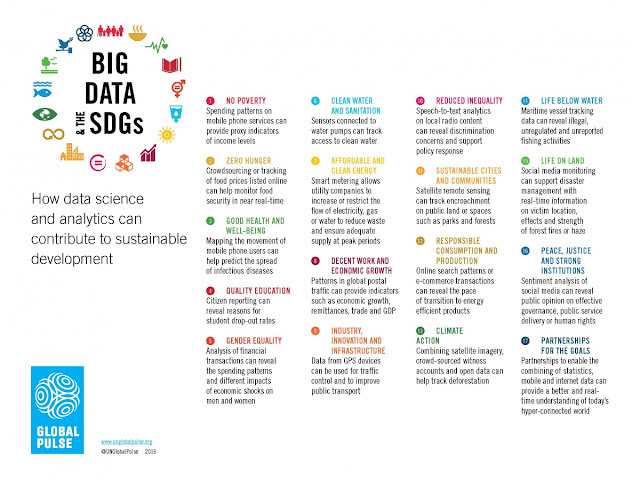 While the discussion about data for SDGs and Data Philanthropy is far from over, some visionaries predict that any future commercial, business opportunity will have a strong social component. A great read on this is "Breakthrough Business Models Exponentially more social, lean, integrated and circular" which was recently commissioned by the Business and Sustainable Development Commission. Will Big Data cause the next revolution in social impact? We believe it can and we're 100% behind it. With Big Data you need to work hard. This involves creating a complex project, collecting data, building infrastructure, designing models, and then finding the necessary data that will help improve processes. www.activewizards.com site accentuate that the main task is to integrate models into business processes in production and to profitably use the solutions found. This is just a small part of superstitions and misconceptions about large data. Big Data is not a magic wand. It is a tool that, in the hands of a skilful analyst, will help to properly build your business processes.